Dark Horse's line of glassware features the house sigils from HBO's award winning television series Game of Thrones. This impressive 22 oz. 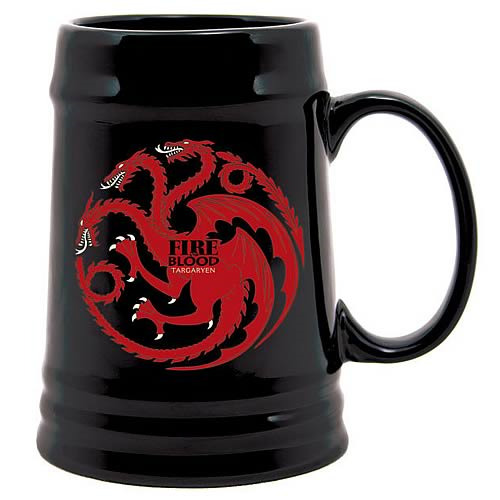 Game of Thrones Targaryen Sigil Ceramic Stein features a large stein design in sturdy ceramic and has the Targaryen three-headed Dragon sigil on it. Any true nobleman/woman, member of the Night's Watch, or priestess wouldn't be caught without them! Ages 14 and up.